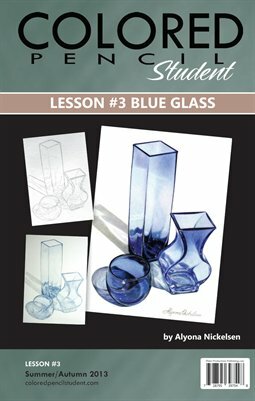 Blue Glass Lesson#3 by Alyona Nickelsen with full photo reference. The Basics: Tools of the trade, art materials and supplies to get started. Q&A: Graphite transfer paper vs. Carbon paper.